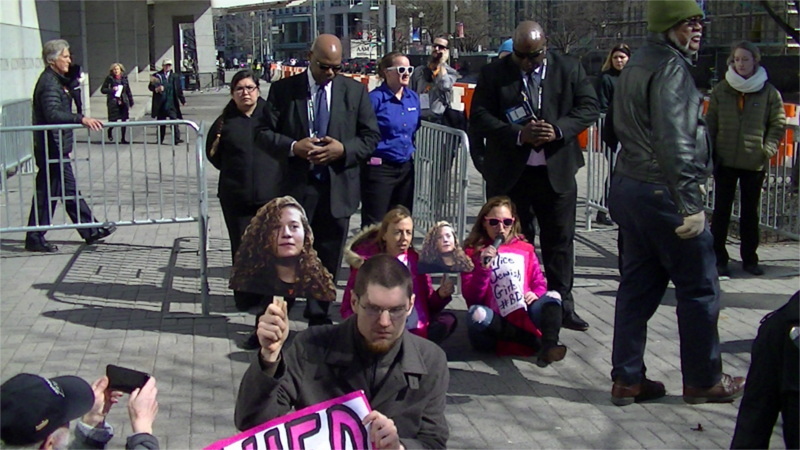 On March 3, as pre-convention activities for AIPAC ramped up, Code Pink held a protest at an entry checkpoint demanding that Israel release 17 year old Ahed Tamimi. She is being held without bond through her "trial" by an Israeli military court for slapping an occupation solder who participated in a raid on her home. This year, the cops have erected "security" barricades all around the sidewalk in front of the Convention Center, no doubt fearing a repeat of last year's hard lockdown in front of the Convention Center's main doors. The fenceline and entry checkpoints evoke Israel's own Apartheid Wall and military checkpoints. 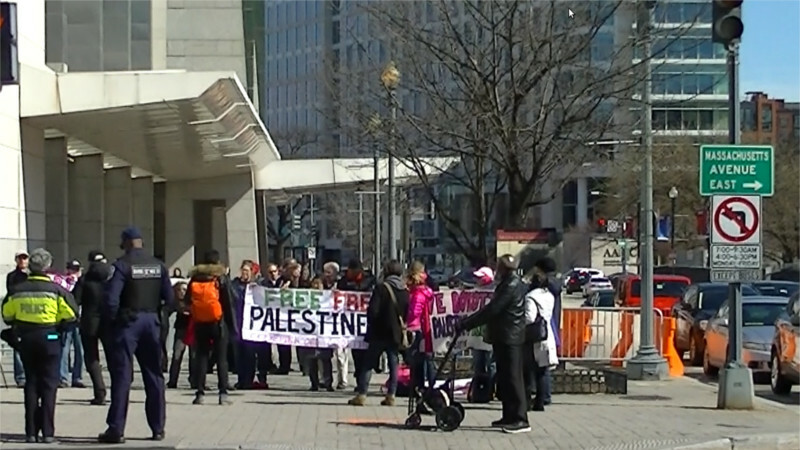 AIPAC this year will be especially ugly. Theocratic US Vice-President Mike Pence (a "Christian Dominionist") will be addressing AIPAC, and Israeli PM Benjamin Netanyahu will be meeting with Donald Trump. Possibly Trump will be getting advice from Netanyahu on building walls and creating a single-group ethno-state? Israel is actually a good example of that kind of state and also is being compared by protesters to South Africa during the Aparthied years. 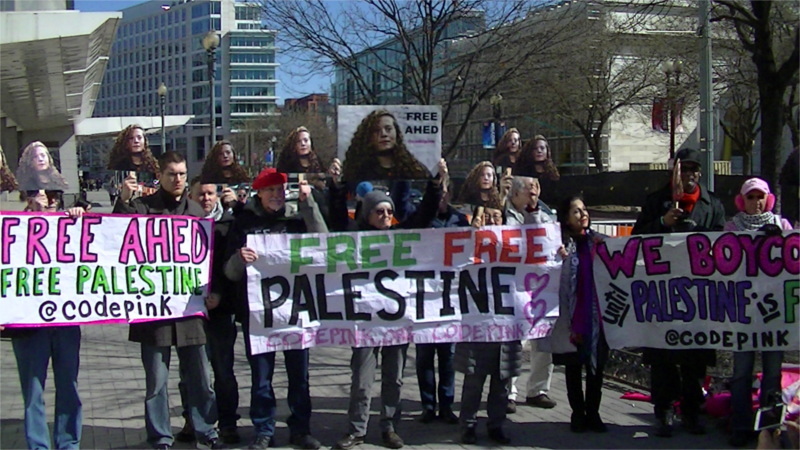 Code Pink especially singled out Israel for having one court system for Jewish citizens and another, separate military court system for Palestinians.